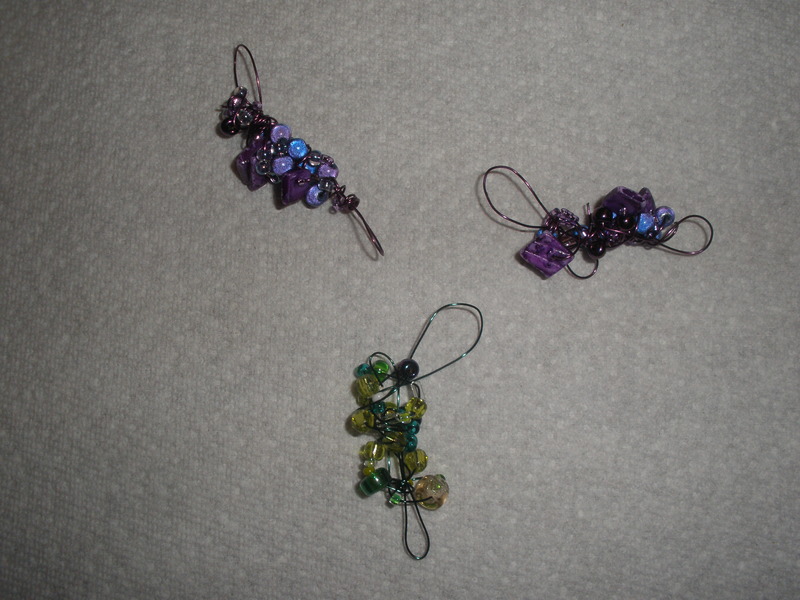 I had a relaxing, fun afternoon at the Victoria Quilt Guild’s Fall Frolic making beads with Laine Canivet. We started making beads from ripped up painted paper towels and discussed how different paper towels vary in texture. Next we made beads from melted plastic, I love how shiny they are! Although I don’t possess a heat gun, and I already have enough supplies and equipment to last me for a good long time. 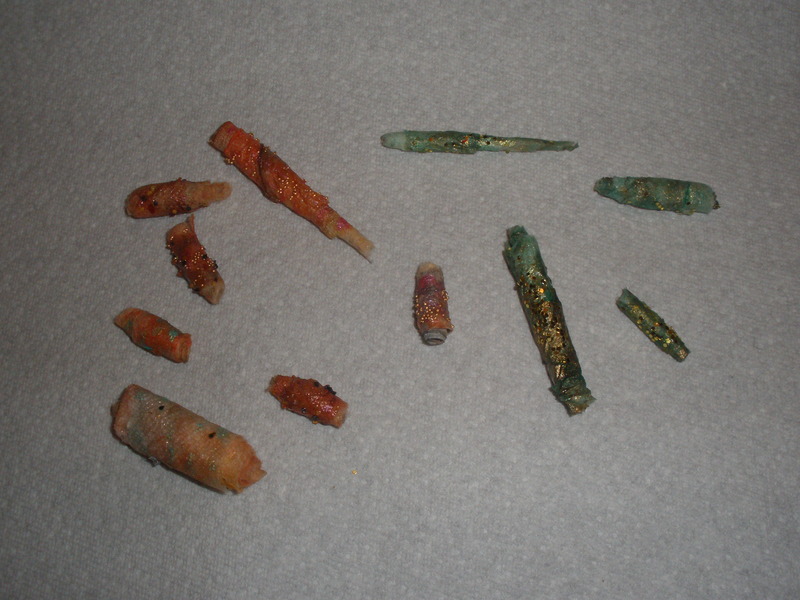 The last part of the afternoon was spent making beads out of — beads, who would thunk it? 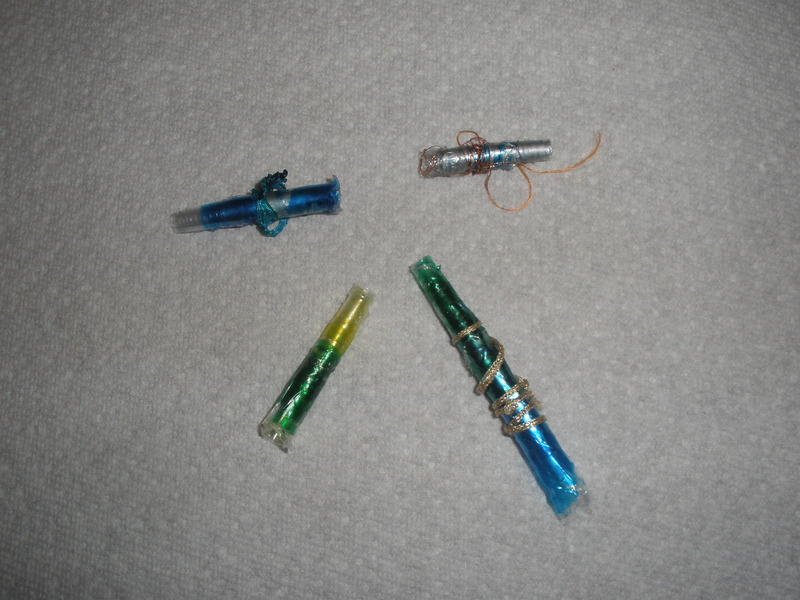 This is cool because I got to play with coloured wire (which I’ve had for ages and not used very much) and because Laine encouraged us to use a mixture of beads, not all the same. I did match the colour of the wire to the colour of the beads just for this afternoon, but there’s no reason you have to do that. And it’s something I can do while watching a movie or chatting on speakerphone. 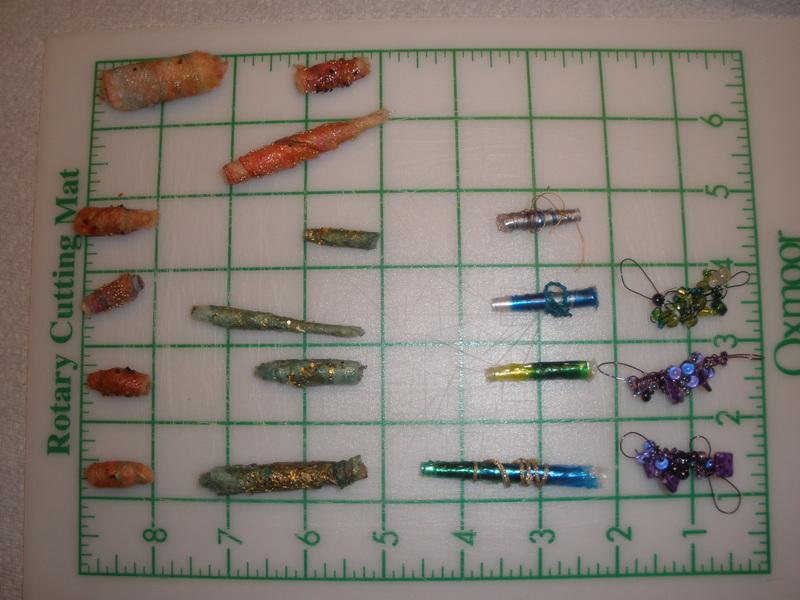 Here’s a picture that gives an idea of size (the grid is one-inch squares) and shows all the beads I made. Laine encouraged us to use colours we normally would not, but I confess I ignored that bit of the instructions. I don’t have one favourite colour. The colours I use least are probably brown and white, but I do still use them. Prices of his limited editions I feel are VERY reasonable. He uses fabric dyes on water colour paper and is doing pioneering work on developing literacy through the book arts. The work is vibrant, rich in text, and draws you right in! No longer having a place at home where I can be messy (and I am!) 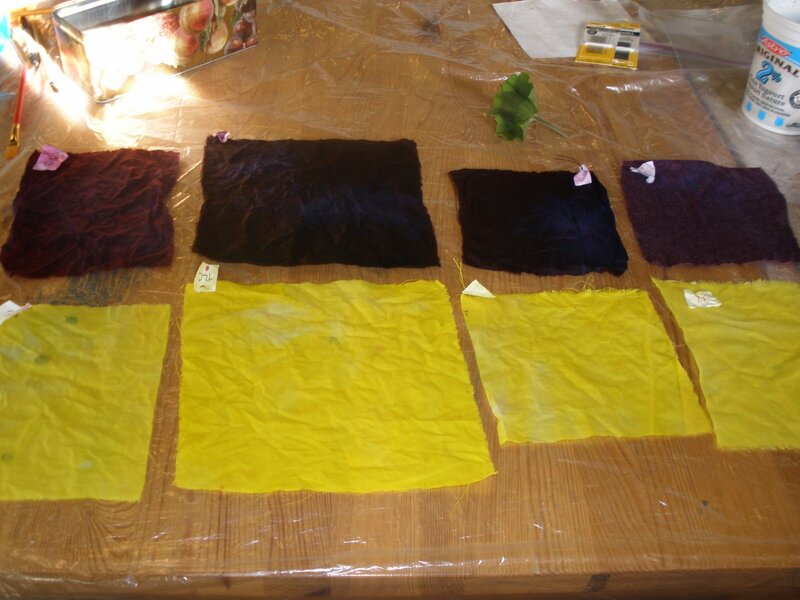 I took a workshop at Satin Moon with Susan Purney Marks where we had days to dye fabrics and permission to be experimental.